In 1881, the people of Coranderrk Aboriginal Reserve went head-to-head with the Aboriginal Protection Board. Their goal was both simple and revolutionary: to be allowed to continue the brilliant experiment in self-determination they had pioneered for themselves on the scrap of country left to them. ILBIJERRI Theatre’s acclaimed production pays tribute to the resilience and adaptability of a people who rose to the challenge despite the odds, appropriating the power of the written word to make their own voices loud and clear. It is both great theatre and great history. 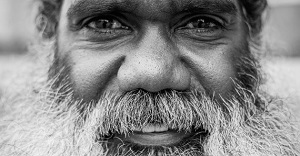 Presented in association with Regional Arts Victoria and ILBIJERRI Theatre.